Obstructive sleep apnoea (OSA) is a relatively common condition where the walls of the throat relax and narrow during sleep, interrupting normal breathing. It can result in a person to stop breathing while asleep, which can be up to 50 to 60 times per hour. The closure of the airway causes breathing to stop, which in turn reduces the oxygen level in the blood. The brain reacts by releasing adrenalin, which causes a partial wakening of the snorer. The snorer will often not be aware of this partial wakening during the night. Many sufferers have excessive daytime sleepiness, which is bad enough in itself but often they are unable to concentrate, experience marital disharmony and they fall asleep at times when they don’t want to be asleep. The four clinically proven snoring treatments are Mandibular Advancement Splint therapy, CPAP, Loosing, Mandibular Advancement Splints. 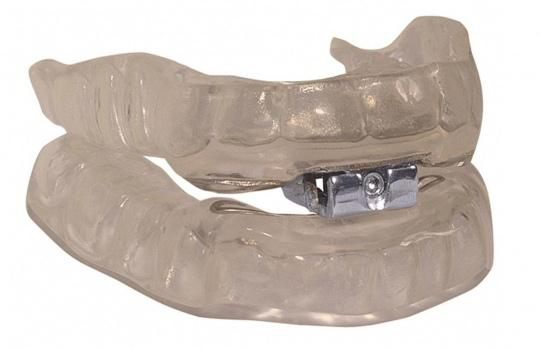 Mandibular Advancement Splints (MAS) are customised mouth pieces made for each patient to be worn at night time to treat snoring. 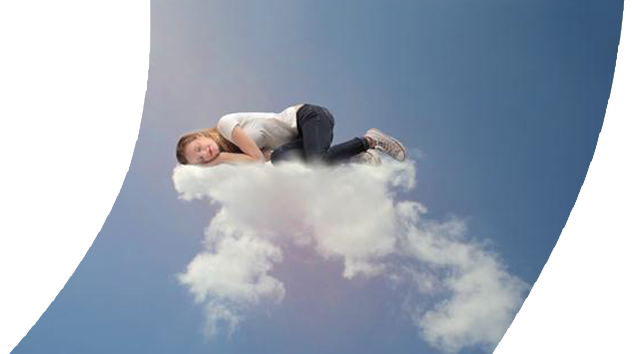 The Sleepwell is the most clinically proven, tailor made to offer maximum comfort & retention and allows the patient to adjust to optimize effectiveness. 'Boil and bite' mouthguards tend to be less effective than custom made appliances. Obstructive Sleep Apnoea (OSA) is a serious medical condition that is more widespread than initially thought. In the UK Obstructive Sleep Apnoea occurs on a similar frequency as Type 1 Diabetes and double that of severe Asthma. A dentist or orthodontist can make a custom-fit plastic mouthpiece for treating mild sleep apnoea. This is called a Mandibular Advancement splint. The mouthpiece will adjust your lower jaw and your tongue to help keep your airways open while you sleep. It is less costly and very user friendly. It is clinically proven to work and offers maximum comfort and full patient adjustment For severe Obstructive sleep apnoea, a continuous positive airway pressure (CPAP) device can be used. This is a small pump that delivers a continuous supply of compressed air to you through a mask that either covers your nose or your nose and mouth. The compressed air prevents your throat closing. CPAP can feel peculiar to start with and you may be tempted to stop using it. But people who persevere usually soon get used to it and their symptoms improve significantly.